Its no secret, I love glowy, dewy skin. And with a good 90% of my makeup collection being products tailored to give that dewy finish I thought I'd do another round up of amazing products that will leave you fresh faced! This a cult classic and loved by many, for good reason. This is a moisturiser with iridescent particals that reflect the light. So, not only does this give a luminous finish, it also has added skin care benefits to nourish the skin at the same time. This isn't enough to use as a moisturiser alone on my dehydrated skin, but works fantastically as primer. It really smooths the skin, and leaves a subtle glow. Read more about it and some dupes here. Probably one of the dewy-ist foundations I own. No lie, this gives an almost wet look to the skin. The coverage is light to medium but easily buildable. It lasts all day on me, which is brilliant because Its so glow-y. Oily skins should probably avoid this though. Its so glow-y I like to set it with powder. Because there is a very fine line between glow-y and sweaty. To set the foundation down, this is what I reach for. Its a great setting / finish powder without being overly matte. This powder has brilliant blurring properties, it blurs pores, fine lines and leaves skin looking flawlessly radiant. See Illuminating powders for all budgets for more info. I never heard anyone say they don't this highlighter. At £17 it sits in the middle of the price scale but easily rivials some much more expensive ones. The formula is so soft and smooth it applies and blends so effortlessly. And the champagned, toned glow it leaves behind is not for the faint hearted! But some how it doesn't look over top. A glow-y blush is staple for me. I just love the finish they give. And Milani Baked Blushes are second to none when it comes to glow giving blushes. Granted this shade Carolina does look scary in the pan. But it blends out to a really lovely, natural flushed colour. This actually suits my skin tone really well. 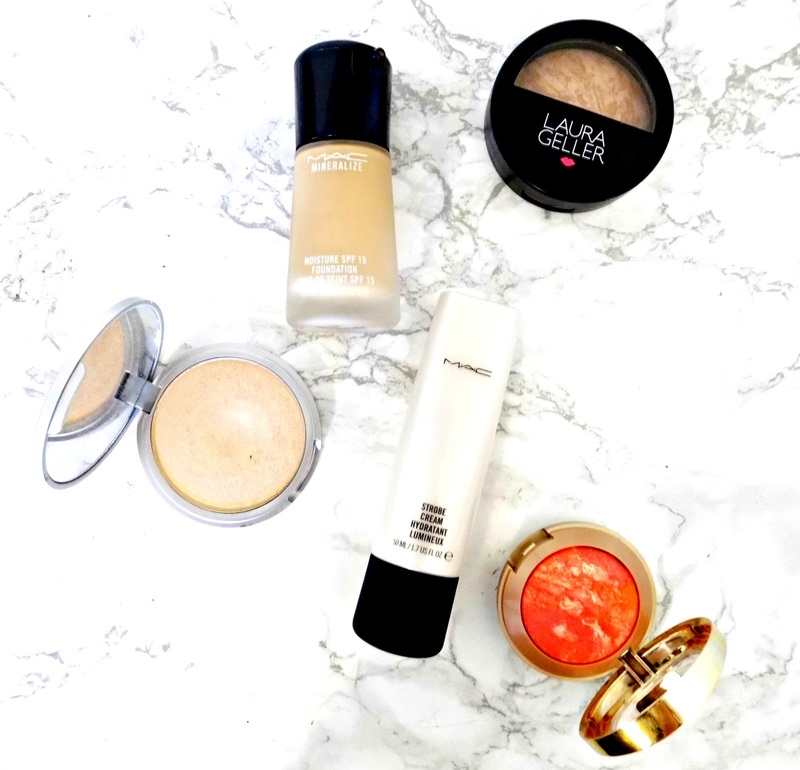 And is perfect for completing any glow-y look! So there are some more brilliant Glow enchancing products. Have you tried any of these? What glow-y makeup should I try next?